Furnace repair is a topic HVAC contractors often get asked about, perhaps because most of the repair work is done by professionals. In this blog, we answer some of the most common furnace repair questions. What Are the Signs That My Furnace Needs Repair? Delayed Ignition – This indicates a faulty igniter, which is typically caused by the buildup of dirt and grime. Wrong Temperatures – This means your furnace and thermostat are not communicating correctly. If the problem persists after proper troubleshooting, you may need to have the thermostat replaced or the furnace repaired. Shrieking or Grinding Sounds – This type of noise is usually attributed to a lack of lubrication on the moving parts, or a loose piece being dragged around the motor. Persistent noises such as these can indicate damage to the hardware, which may require extensive repairs. No Air Flow – If the furnace isn’t pumping out hot air, then the blower may require repairs or replacement. How Often Do I Need to Maintain My Furnace? Ideally, you should have your furnace maintained and inspected by a professional at least once a year. Additionally, you should perform maintenance tasks such as cleaning, inspections and filter replacement at least once every season. Note that preventive maintenance is preferable to, and costs less than, waiting for the furnace to stop working. Furnaces can be expected to operate at full efficiency for up to 18 years with proper care and maintenance. High-efficiency furnaces last a few years less, which is a small trade-off for the energy savings and efficient operation it offers. If you’re moving into a previously-owned home, make it a point to inquire about the age of the heating system. If your furnace does require replacement, consider taking the opportunity to upgrade. Choose a furnace with an AFUE (Annual Fuel Utilization Efficiency) rating that’s as close to 100% as possible. These furnaces can help you recoup a significant portion of the replacement costs through energy savings and improved long-term performance. Have more questions about heating and cooling systems? We’d be happy to answer them for you. 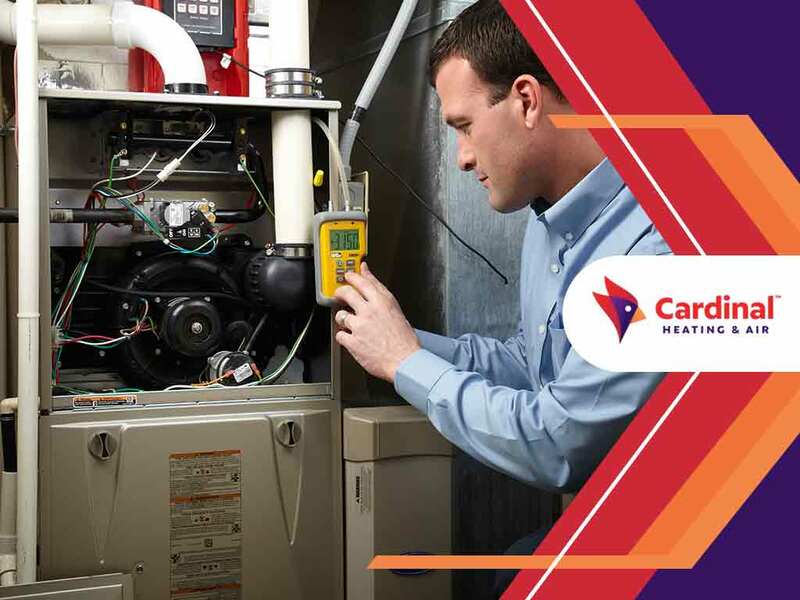 Call Cardinal Heating & Air today at (425) 296-2097. You can also fill out our contact form to schedule an appointment. We serve Seattle and the surrounding areas.